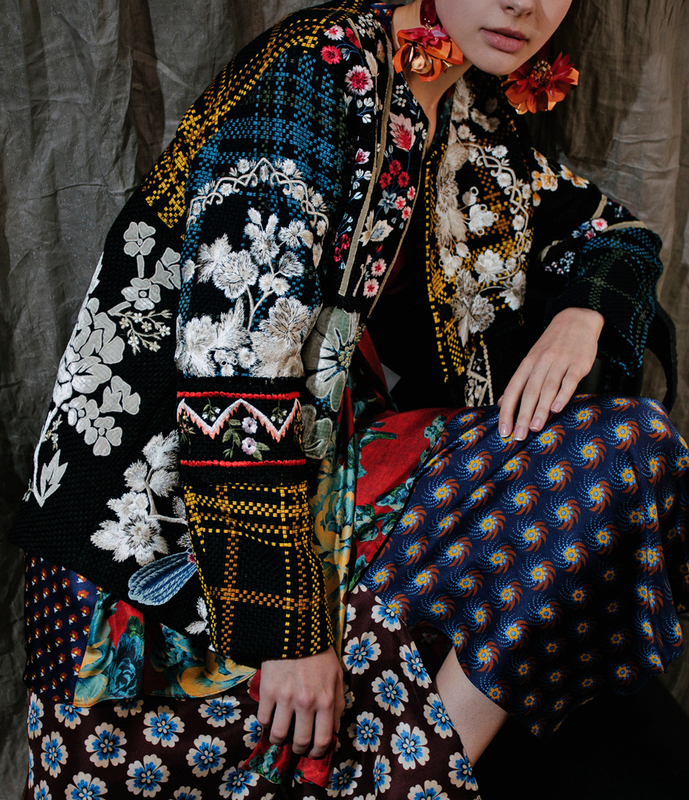 The richly embroidered robes and dresses here are meticulously crafted by Indonesian designer Biyan Wanaatmadja, who blends Western couture with the traditional clothing of his native country. Nowhere will you find a more refined take on eclecticism. 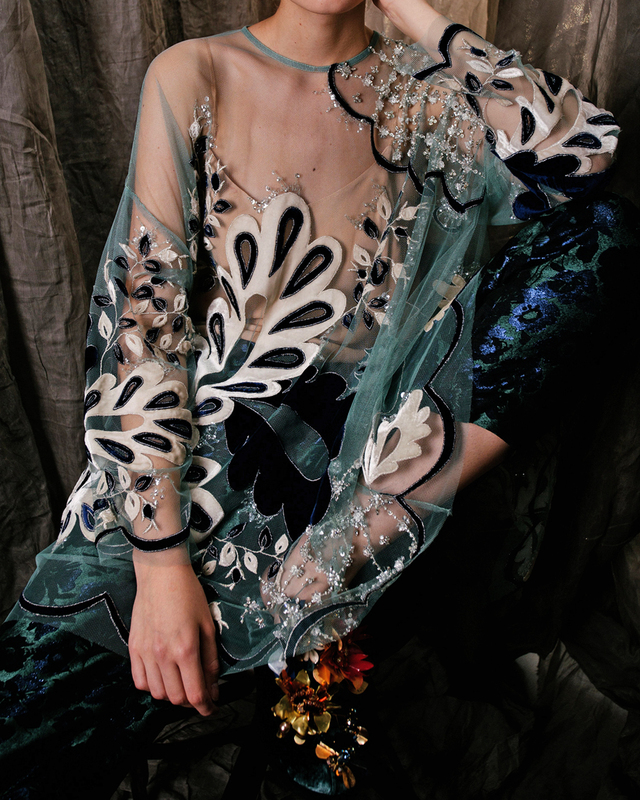 Biyan's 'Illoubel' dress is designed with long sleeves and velvet embroidery detailing throughout. Biyan's 'Callope' wool cotton jacket is designed with a hooded silhouette and an oversized fit. Biyan's 'Josell' blouse is crafted with sheer tulle and eyelet detailing. Biyan's 'Crimson' cotton wool jacket is designed with patchwork detailing and embroidery throughout. Style with a printed skirt to mirror the brand's lookbook.